​Premier League duo Bournemouth and Leicester City are preparing bids for Celta Vigo midfielder Stanislav Lobotka, who reportedly has a €50m release clause in his contract. The Cherries have already bolstered their squad this month after recruiting Dominic Solanke and Nathaniel Clyne from Liverpool earlier on in the window, but are believed to be keen on strengthening their squad as they aim to halt their recent slide down the Premier League table. Leicester, meanwhile, are yet to make a January signing and manager Claude Puel could be in the market for midfield reinforcements, with Daniel Amartey ruled out long term with a broken ankle. 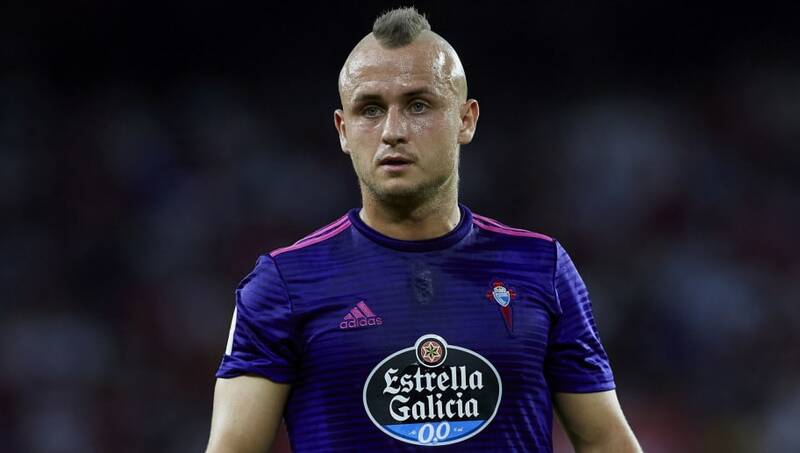 A bidding war could now begin between the two sides for Lobotka, who currently plays in La Liga for Celta Vigo. CalcioMercato claim that both sides are readying €25m bids for the 24-year-old, but they could face stiff opposition from both Chelsea and Napoli. Lobotka has made 13 appearances in ​La Liga this term, but has yet to open his goalscoring account. The Slovakian is not called upon for his goalscoring prowess though, instead picking up the ball in deeper midfield positions before looking to distribute passes to his more creative teammates. Playing in a league that is home to some of the world's greatest passers, only five players were more accurate with their passing than Lobotka last season when he averaged a 91% pass completion rate. The report goes onto claim that Chelsea's interest in the player stems from their desire to pick up a central holding midfielder capable of replacing Cesc Fabregas. However, it's claimed that Lobotka is not Maurizio Sarri's first choice, with the Italian instead looking towards Zenit St Petersburg's Leandro Paredes. With that in mind, ​Bournemouth and Leicester remain front-runners in the race for Lobotka's signature though there are no guarantees that Celta will allow him to leave.